India is a country where women who are sexually assaulted are not treated well. They cannot be identified and are often vilified. Due to this, many women will not speak out about what has happened to them. Yusuf Omar, the editor of the Hindustan Times, has taken to using Snapchat to interview some of these women to find out what has happened to them. How Omar is doing this is by showing them how to use Snapchat on his phone. He would encourage them to us the dragon mask filter, the mask that would cover their faces the most. He would then leave the phone with the woman and let her record her story. These stories would go out to different people and all they would see is the woman's eyes and hear her story. This could be very empowering for other sexual victims who may see this as a chance to share their own stories. Omar asked several women to do this for him, but he had to spend a lot of time with them, messing around with the app so they could see that the app isn't dangerous or risky. Snapchat was probably a good app for them to use for this because not only could they cover their faces, but they shouldn't have to worry about someone being to remove the mask to reveal who the women are. The files should be too small for the woman's image to be hidden under the masks pixels, however, Omar cannot be completely certain about that. He has tried his best not to put these women at risk. 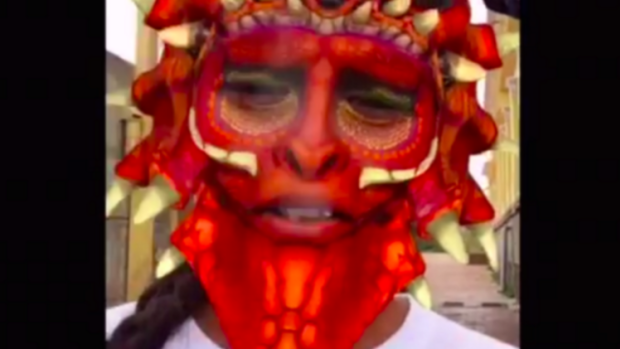 When Snapchat uses a filter like this it doesn't register the entire face and it should just register the shape of it so all that should be saved are the markers and the mask itself. These stories and videos are more intimate than they might have been in a TV interview or on any other social media. These women have been able to admit that something had happened to them without having to worry about someone else endangering them for saying so. Omar has humanised these victims once again and this was possibly quite an important step in India. Omar might not have changed anything by sharing these interviews, but at least these few women would have been able to speak up about what has happened to them. Hopefully, this will encourage other women to do so too.